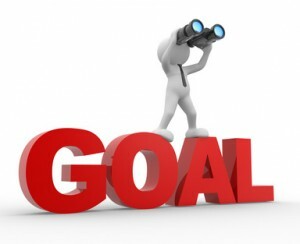 One of the great things about getting sober is that you can start to set goals for yourself and go on to achieve them. You undoubtedly have a great deal of hidden potential, and you are likely to be amazed at what you can achieve. In sobriety, you have the opportunity of making some of your dreams a reality, doing this by setting yourself some goals and working towards them. People do manage to achieve some amazing things in recovery; below we have set out 10 important things to consider when setting goals. Never allow accomplishing your goals to get in the way of your sobriety – this is vital because if you relapse, you are probably going to lose everything anyway. When setting goals, you need to consider how it is going to affect the rest of your life. The one thing you do not want to do is stop the activities that are helping to keep you sober. You are already worthy enough. The object of goals is not so much for you to become a more worthy person, but as a way to experience more and reach your potential. If your self-esteem depends on your ability to achieve these goals, you will probably always feel lacking in self-worth. This is because your mind will keep telling you what you do not have, so as soon as you achieve one goal your attention will automatically be directed towards the next challenge. You need to understand that it is not your achievements that make you a good person but the recognition that you are already a good person. If you can do this now, it would greatly improve your ability to achieve things in life. The truth is that you achieve goals to boost your self-esteem; you boost your self-esteem so you can achieve some goals. If you are overly obsessed with achieving your goals, it is likely to mean that you see the process of getting to this point as just an obstacle. This is unfortunate because you are going to be spending the majority of your life in-between goals, so you can end up viewing this time as something you have to tolerate until you reach your destination. Being goal focused is not a good way to live because it means you fail to appreciate all the good you have in your life right now. A much healthier attitude is for you to become process-orientated – this means that you start to love the process of achieving your goals. You can accomplish far more than you probably realise, but if you set yourself unrealistic goals then it can just lead to disappointment and resentment. If you are middle-aged and out of shape, it might be a bad idea to pin your hopes on playing football for England. If you hate studying and are a bit clumsy, your goal to become a brain surgeon might not be worth pursuing. The secret to setting a realistic goal is to think about the steps you need to achieve it and if you can find a reasonable way to take these steps, this is a realistic goal. The people who are most likely to succeed in making their goals happen are those who are able to pick themselves up repeatedly from failure. If your response to failure is to just want to give up, it will be hard for you to achieve much in life. The reality is that failure is usually part and parcel of the path to success. If you learn from each failure, it moves you closer to the correct path. By failing enough times, you cannot really help but succeed. It is okay to lick your wounds for a day or two after a disaster, but you need to get back on your feet as soon as possible and learn from what happened. If you decide to climb Mount Everest tomorrow, you will probably feel overwhelmed when you consider all the things you need to do to make this happen. This is why you do not try to accomplish this type of goal without first breaking it up into smaller goals. Doing this means that everything becomes more manageable – every time you accomplish one of the smaller goals, it gives your motivation a boost so you are better able to accomplish the next goal on the list. By breaking your large goals into smaller ones, you increase your chances of success and will not feel so intimidated. If you cannot create a plan for how you can achieve your goal, it will probably not be feasible. In this situation, you can either deicide to put it on the back burner or give up on it completely. Creating a plan is always vital because it tells you what steps you need to take. Of course, no plan should be written in stone, and you should be prepared to make changes to it in response to your progress. One of the worst things you can say to yourself is ‘I can’t be happy until X happens’. This is a mistaken view of life because the chances are that if you cannot be happy now, you will not be able to be happy in the future. Real happiness is all about being grateful for what you have right now and not about achieving more things or owning more possessions. If you see goals as your path to happiness, it is likely to lead to more suffering. It is unreasonable to expect to achieve your goals unless you are willing to take plenty of action. This means leaving your comfort zone and doing whatever work is necessary to make your dream a reality. Getting stuff done usually requires making some sacrifices, but this does not mean the process has to be unpleasant; in fact, you can learn to love being outside of your comfort zone because it means feeling really alive. You do not want to give up on a goal too early but sometimes your dream can be causing more trouble than its worth. If you can honestly say that you have tried your best and cannot see any way forward, it is probably the right decision to count your losses. Continuing to fight for an unrealistic goal can lead to a great deal of suffering and could put your recovery at risk as well. Remember that you are already a winner because you are not drinking, and often what the universe has in store for you is going to be much better than what you were working towards. When you give up on your goal for the right reasons, it can lead to a new amazing journey.